reach out to the least, the lost and the forgotten. minister to men and women needing to complete court ordered hours. one another while experiencing a pro-social environment. 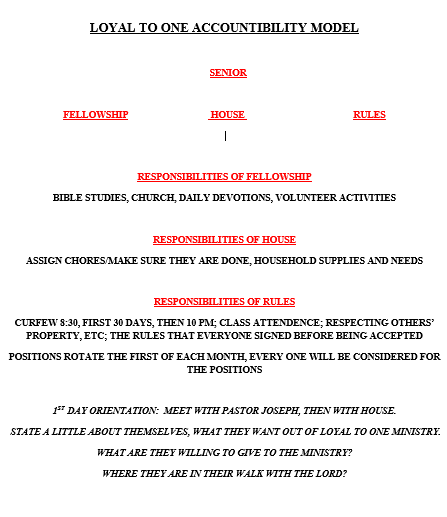 budgeting, and sharing a servant’s attitude and heart. have waiting for them, to ensure the best chance for success. character building and so much more. compound in Honduras which helps 2 orphanages. our efforts at each of our locations. FACILITY WILL PROVIDE ALL SERVICES NEEDED. HOUSING, PROGRAMMING, EMPLOYMENT, ETC. COMPLETING 90 DAYS IN L.T.O.M. 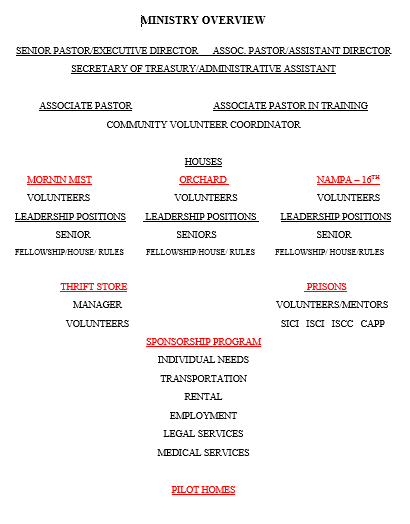 HOUSING PROGRAM AND VOLUNTEERING 80 HRS. TO L.T.O.M. COMPLETING ALL CLASSES OFFERED BY L.T.O.M.